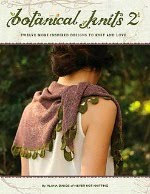 In March I am going to offer a class that I have never done before! Spinning! This class is perfect for anyone who has ever been interested in spinning and has always wanted to give it a try. 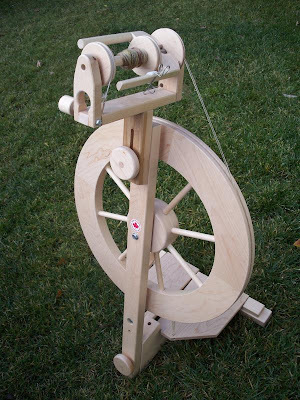 I will bring the wool that you will be using and we will be practicing on my spinning wheel. 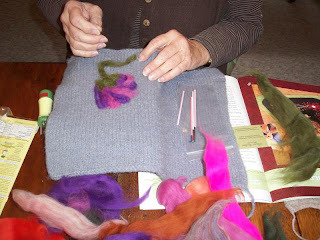 You will learn how to treadle, draft, spin, and ply your yarn. 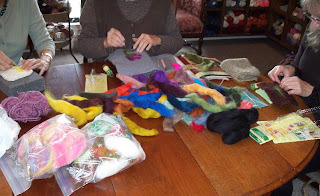 You will be so excited to take home your newly created hand spun skein! These will be private lessons so I will be booking appointments Saturday, March 8th all day. $15 for one hour, $25 for two hours. 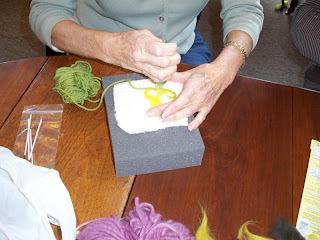 Call 805-466-YARN to schedule an appointment. 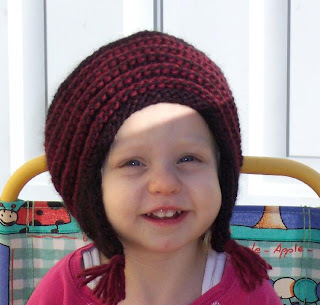 Well, Knitty.com did not accept my pattern. I am really proud of myself though for giving it a good try. I had only a week to do all of this, and I honestly tried my best. When I try again for the summer issue, I will have way more time and hopefully that will make a difference. I'm trying not to be discouraged. Im just going to press on! 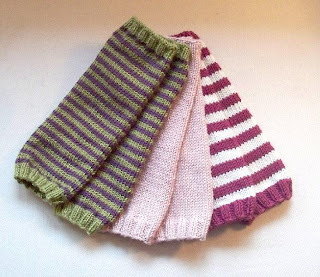 I will now offer "Legwarmies" (which is the pattern I submitted) for free on the blog. Enjoy! 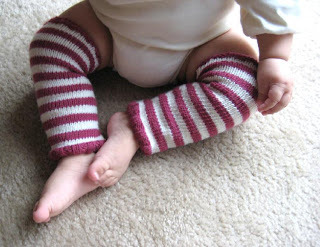 These are the perfect cool weather accessory for the "little legs" in your life. I love to put my 2 year old in those cute short skirts and dresses for spring, but I worry about her little legs being too cold. These are great for chilly mornings because they are so easy to slip off when the sun comes out. She also wears them over tights for added warmth on an extra cool day. 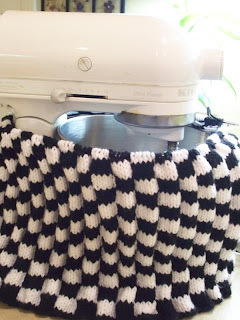 Legwarmies are practical and a fun and funky fashion statement. 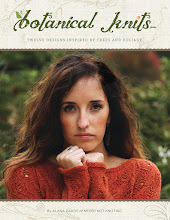 You can knit them to match all your favorite outfits. They make great last minute gifts because it only takes a weekend to whip up a pair. 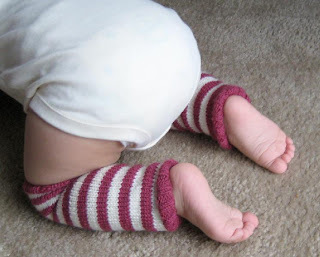 Legwarmies stretch to fit most children from about 3 months to 3 years old. 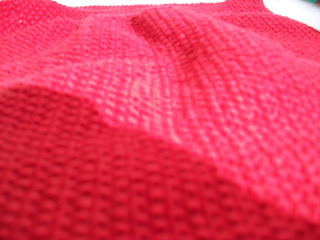 This yarn is wonderfully soft and warm against your little ones skin and, guess what moms, you can even machine wash them! Round 1: [K2, p2] to end. 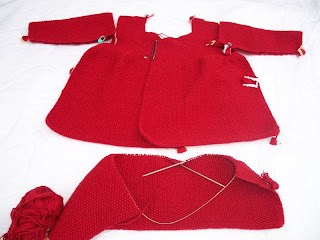 *Sew purlwise (right to left) through 2 stitches, leave the stitches on the needle. 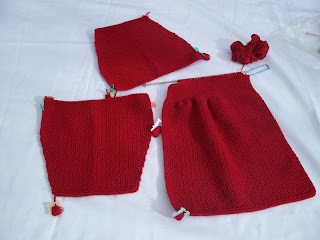 Sew knitwise (left to right) through the first stitch and then remove stitch from the needle. Repeat from * for the entire circumference. You will have one stitch remaining. 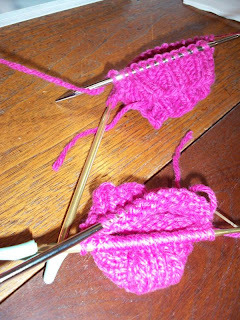 Insert needle purlwise into last stitch and remove from the needle. 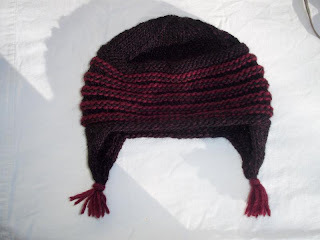 With [MC] loosely cast on 44 stitches. 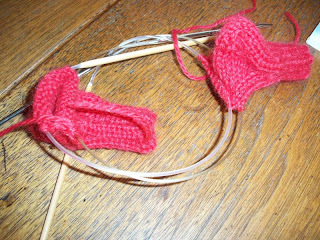 Divide stitches evenly between 3 double pointed needles. (15 stitches on needles 1 and 2, 14 stitches on needle 3.) 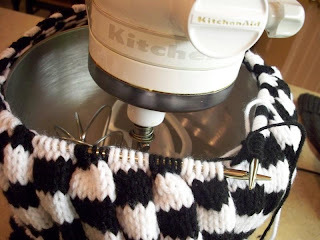 Join into a round being careful not to twist your stitches. Mark first stitch for beginning of round. Work 6 rounds in 2x2 Rib. Version A (Solid Color): Switch to St st and work until piece measures 8 inches from cast on edge. Work 6 more rounds in 2x2 Rib. Loosely cast off using Elizabeth Zimmerman's Sewn Cast off method. Version B (Thin Stripe): *Drop [MC] switch to [CC] and work 2 rounds in St st. Drop [CC], pick up [MC] and work 2 rounds in St st. Repeat from * continuing in this manner until you have 35 stripes total ending with a [CC] stripe. Cut [CC] leaving a long tail to weave in the end. Pick up [MC]. 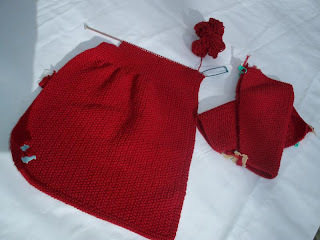 Knit one round. Work 6 rounds in 2x2 Rib. Loosely cast off using Elizabeth Zimmerman's Sewn Cast off method. Version C (Wide Stripe): *Drop [MC] switch to [CC] and work 4 rounds in St st. Drop [CC] pick up [MC] and work 4 rounds in St st. Repeat from * continuing in this manner until you have 17 stripes total ending with a [CC] stripe. 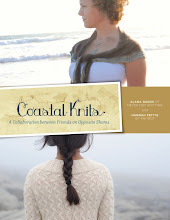 Cut [CC] leaving a long tail to weave in end. Pick up [MC] Knit one round. Work 6 rounds in 2x2 Rib. Loosely cast off using Elizabeth Zimmerman's Sewn Cast off method. 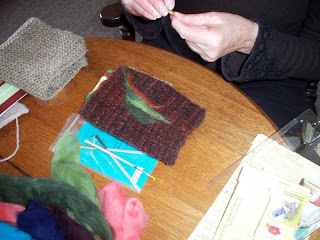 Weave in ends using a tapestry needle. Block lightly. By the way, my daughter has been wearing these a lot lately and they look super duper cute on her and everyone comments on them! 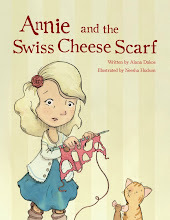 I'm happy to report that Legwarmies is also available in French and Hungarian! 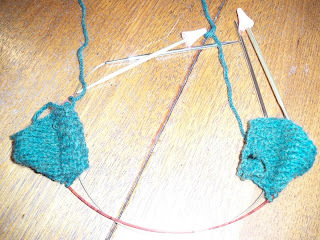 2 Socks on 2 Circulars Show and Tell! 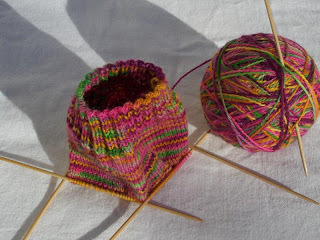 I took of socks worked on in my "2 Socks on 2 Circulars"class. The last class went very well. 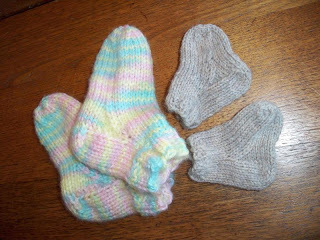 In fact 2 women came who had never even knit socks before! 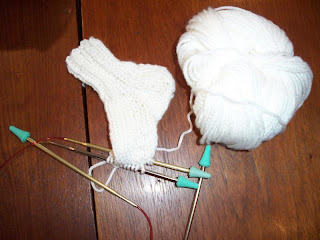 I was so impressed by their perseverance and sock knitting bravery! Since everyone just made sample socks to learn the technique I didn't make anyone swatch. That is why the socks differ so much in size. This is proof why you always need to swatch for sweaters! If this class proves to be too advanced for the student it's easy to just switch to learning one sock at a time.